I have been M.I.A due to some technical difficulties but I think I've got it all squared away now back the the regular programming! I receive this Meaningful Beauty Voxbox from influenster. I got to say influenster have been treating me pretty nice lately. 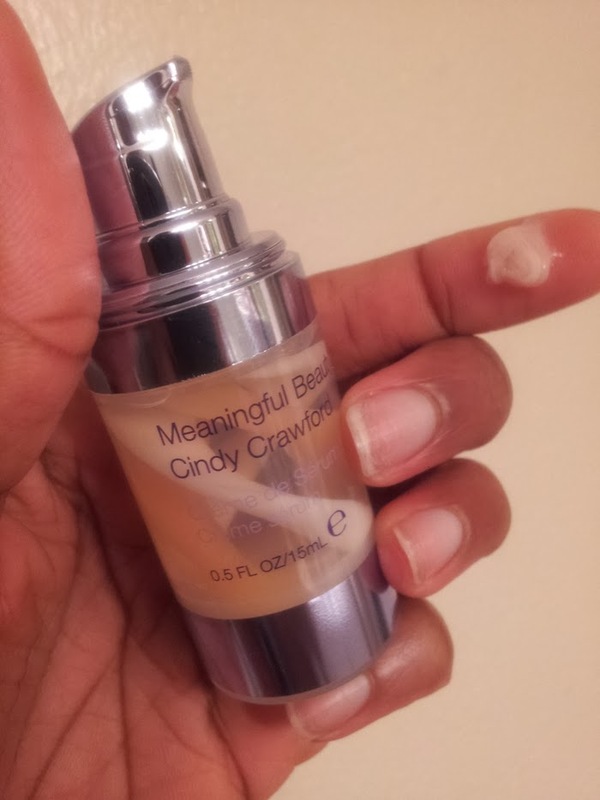 Anyway I received the Cindy Crawfords’ Meaningful Beauty Créme de Sérum I've been using it for 1 week now, I think it time I give my 2 cents. I like the twisty swirl inside the bottle make me think of ice cream *don't ask*! I like the very delicate pump, you're able to get the cream in your hands with no mess in one swift push. The cream itself is very silky, a little go a long way. It goes on very smoothly and provide enough moisture. Because it's non greasy.. when I use the meaningful beauty I wake up with pretty face, no greasy mess around the T-line. The smell is light and not overbearing. The product is very silky but I would figure if you have really dry skin you might be left feeling ashy. I normaly use straight olive oil on my skin at night so I'm use to a lot of slip. So I feel that the meaningful beauty didn't sliperry enough for me, so I add a tiny dab of EVOO nd it was all good. All in all that a personal preference. The meaningful beauty creme de serum is suppose to reduce the sign of aging. It's kind of hard to tell since I've only use it for a week. So we'll see! 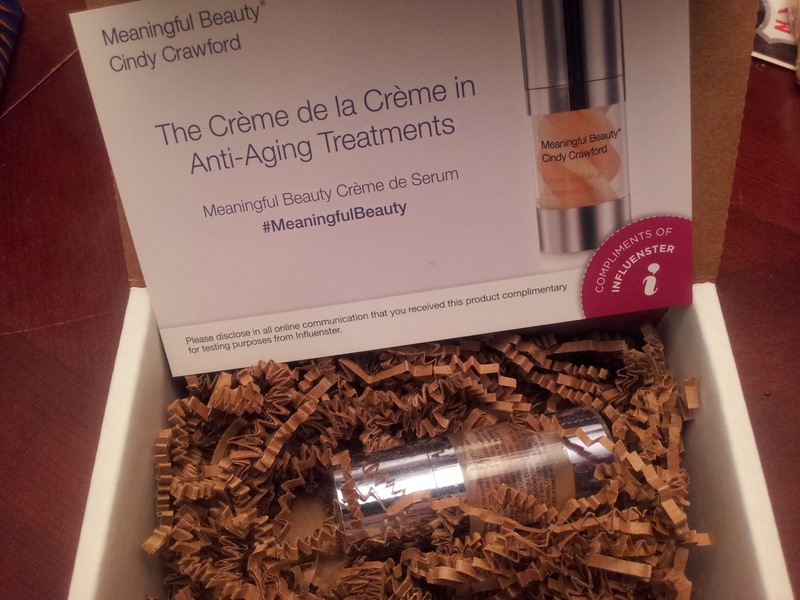 Have you ever try the meaninful beauty creme de serum? How do you like it? Also, If you haven’t had a chance to shop my online boutique I welcome you to take a peek inside. I’m adding more and more items weekly. Be sure to visit the store at Stylish Accessory Boutique Use code LCRPF8 for 15% off your entire orders. Thanks for supporting my small business!